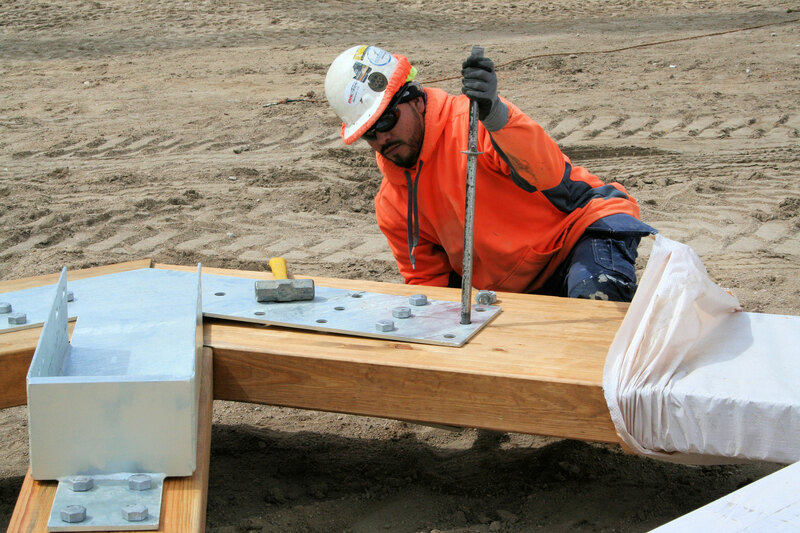 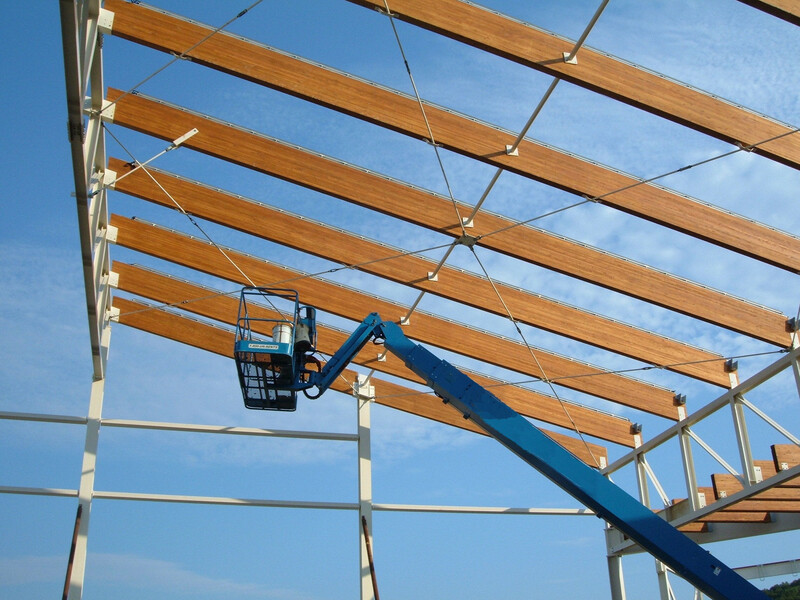 As a nationwide sub-contracting corporation specializing in supplying and erecting glulam, laminated timber and structural steel, our style of erecting unique structures has taken us to 34 states nationwide and the Eastern Coast of Central America, subsequent to opening our doors in 1984. 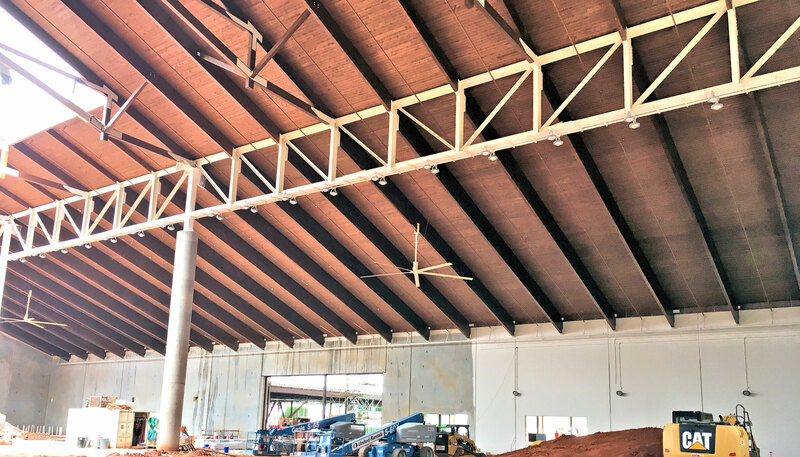 Indoor aquatics, public facilities, entertainment and institutional projects have been a constant for us for almost two decades. 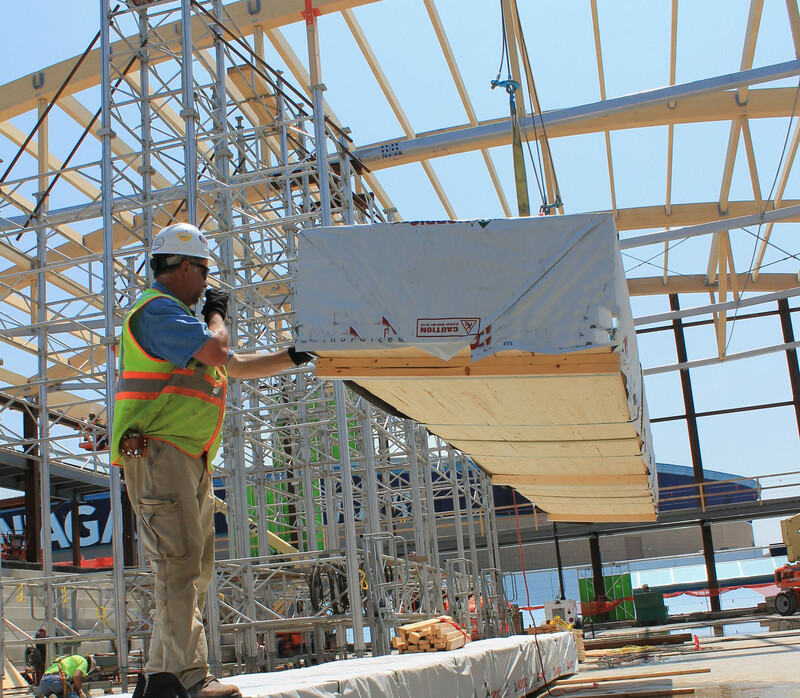 "Distinctive structures have been and continue to be our focus." 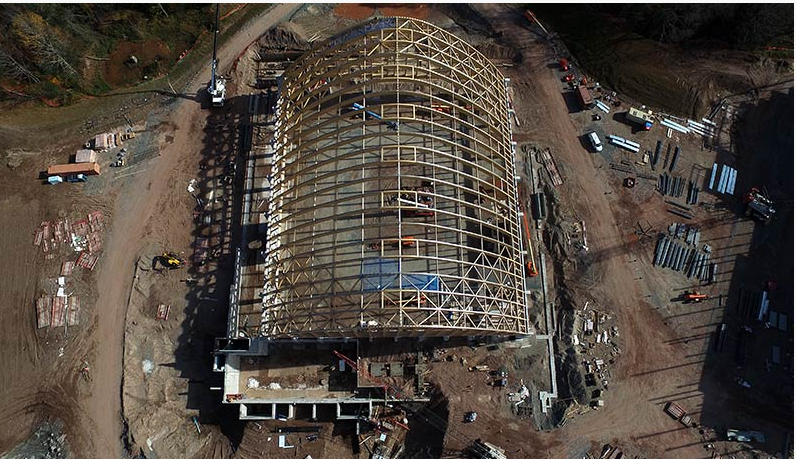 We are the nation's top structural wood indoor water park contractor, having completed nineteen within the last fifteen years. 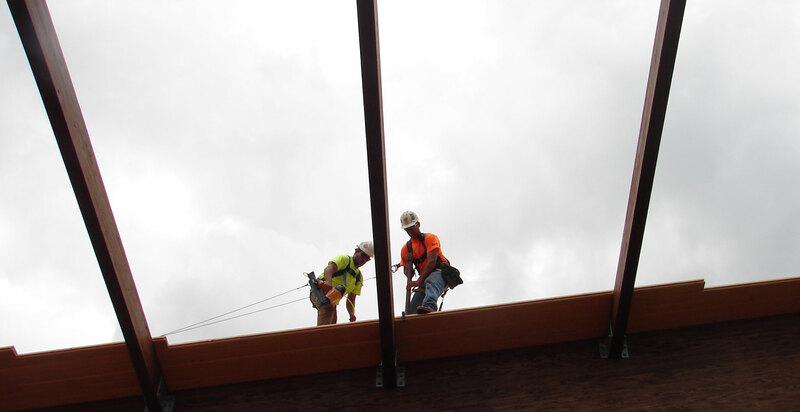 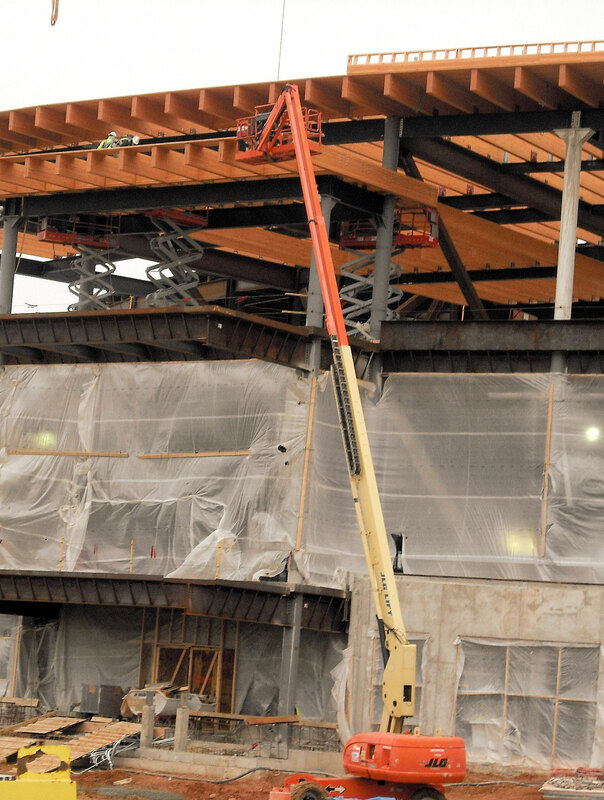 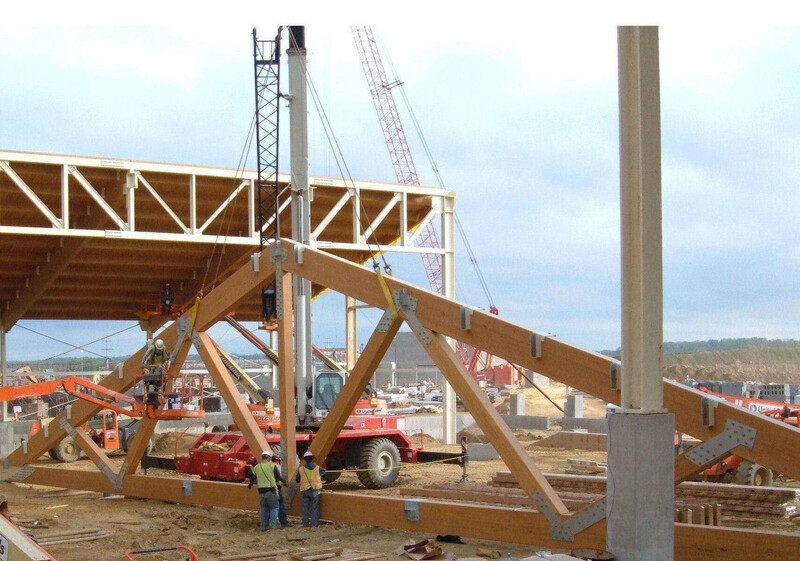 We have been recognized in the publication Structural Engineer as the glulam erector for the completion of the Branson Convention Center in Branson, MO. 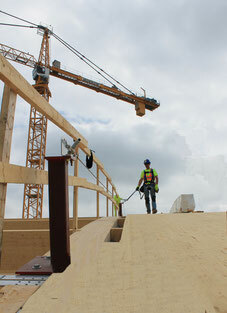 We were published in U.S. 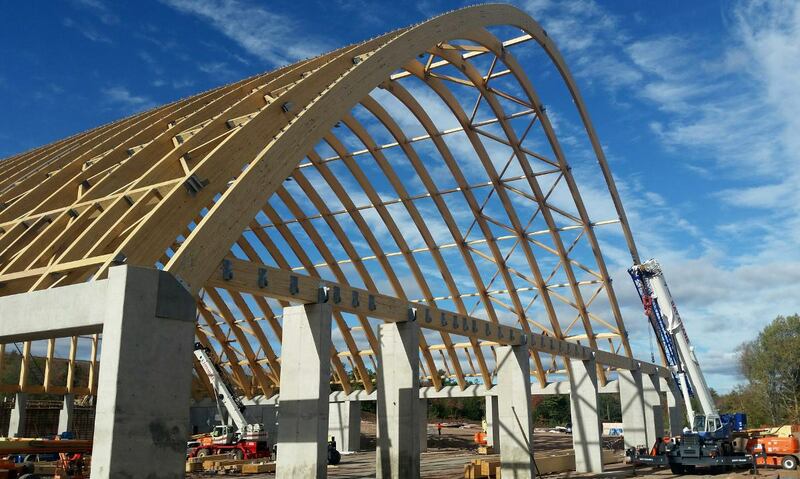 Architecture for the completion of the Austin Events Center in Austin, TX. 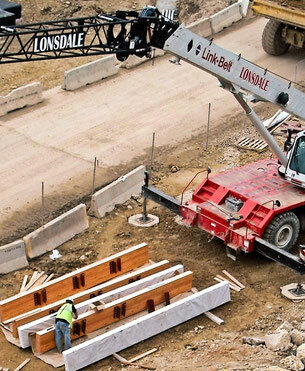 All Lonsdale crew members have obtained a 30 hour OSHA Outreach. 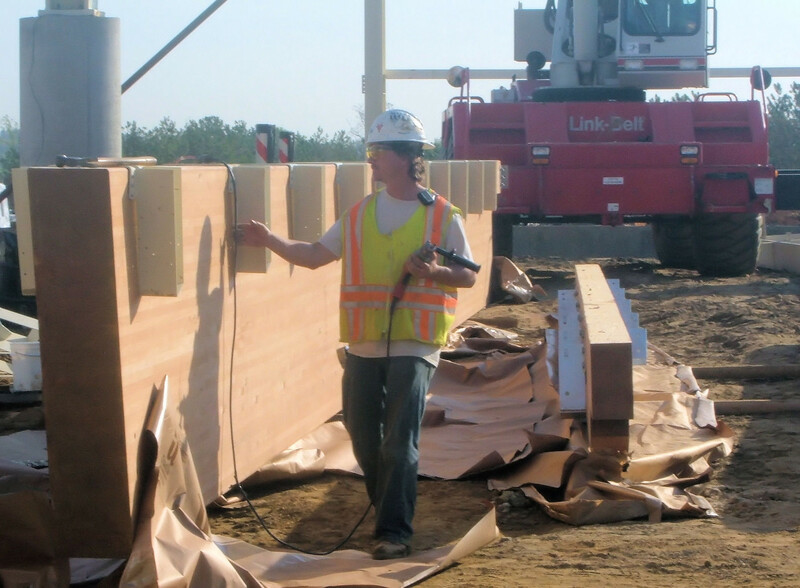 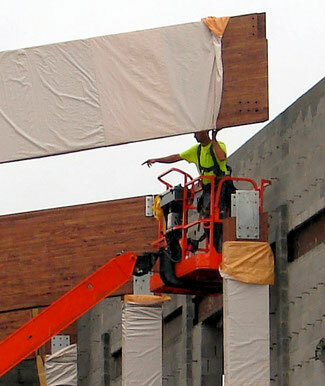 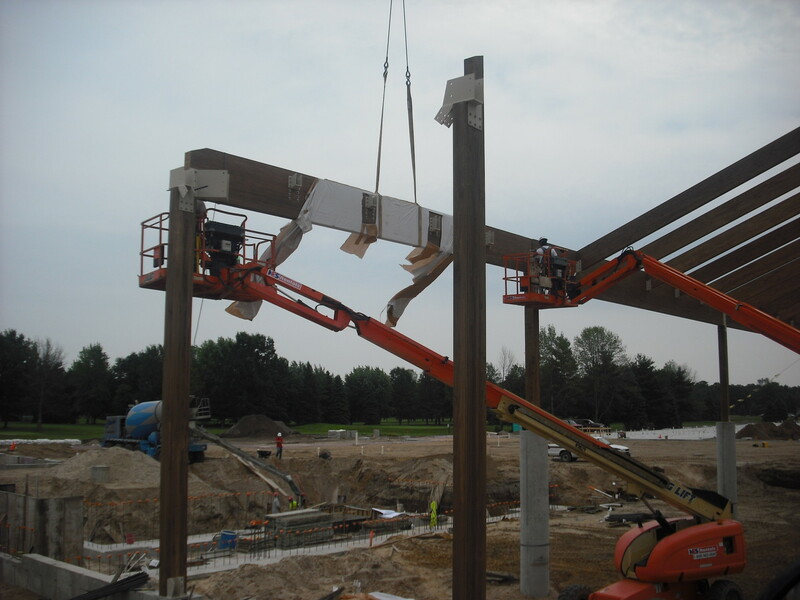 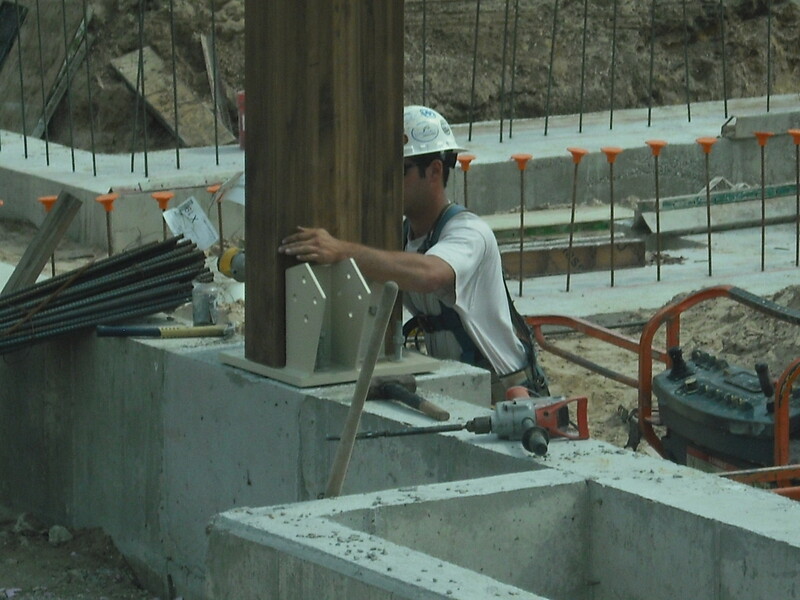 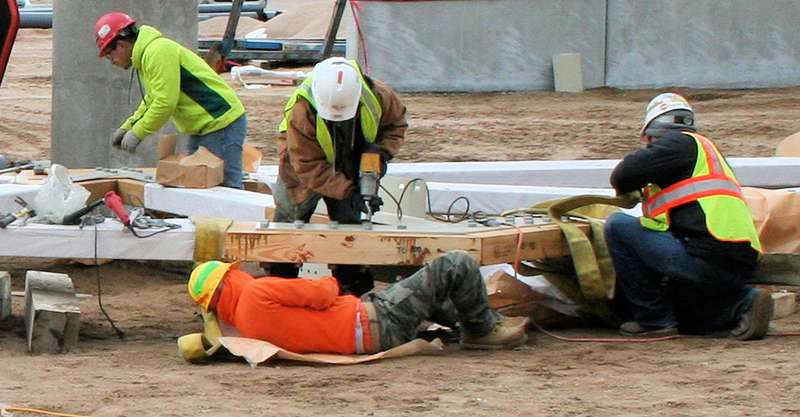 An internal safety policy and training is maintained, along with a site specific Fall Protection Plan for each project. 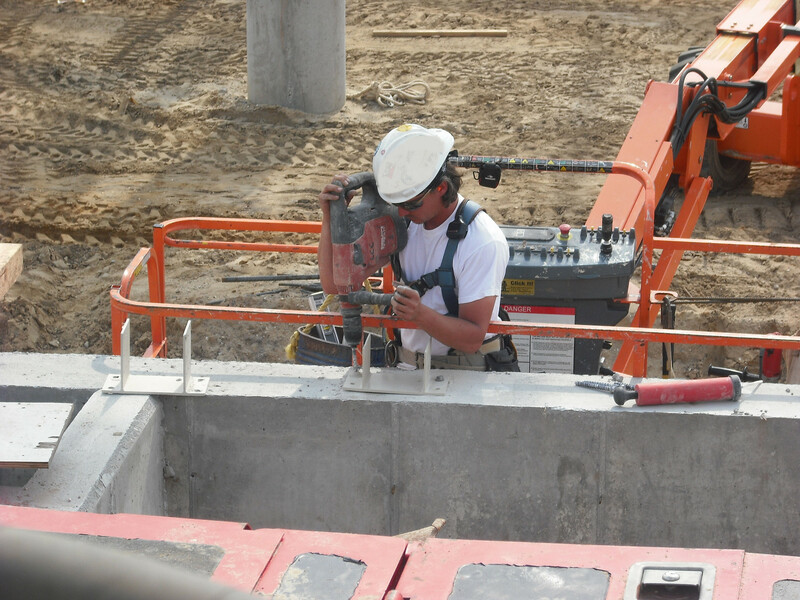 Our safety record is outstanding, with zero OSHA recordable incidents since 1984, and zero OSHA citations since 2005. 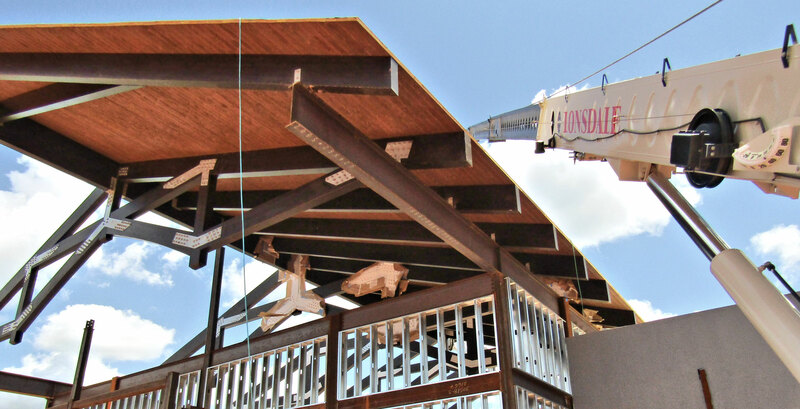 Turner Construction presented us with the Safe Contractor Award at our resort project in LaGrange, GA in 2017.
as our history has proven." 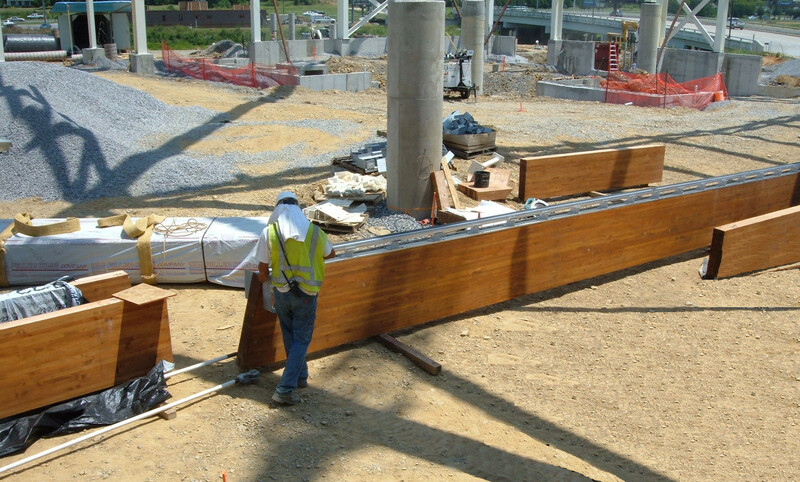 Glued laminated timber erecting is an extremely sensitive process, due to complexity in handling. 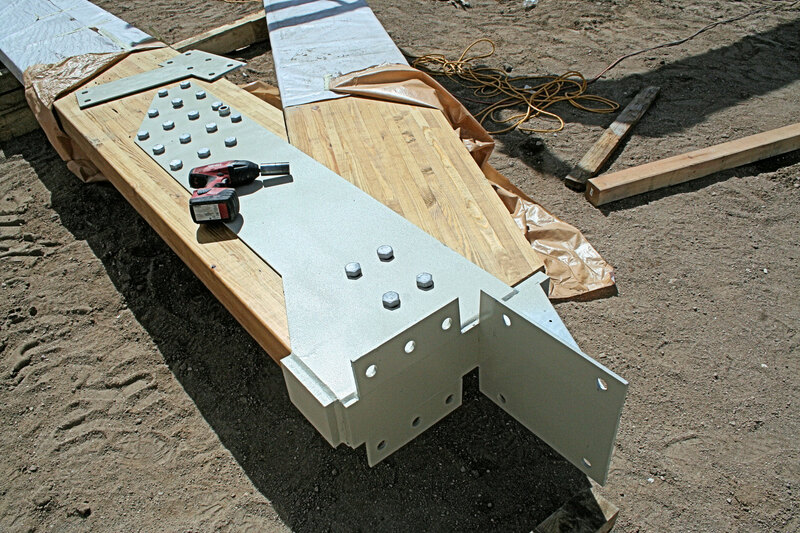 Generally, this system is both a structural factor along with the finished product. 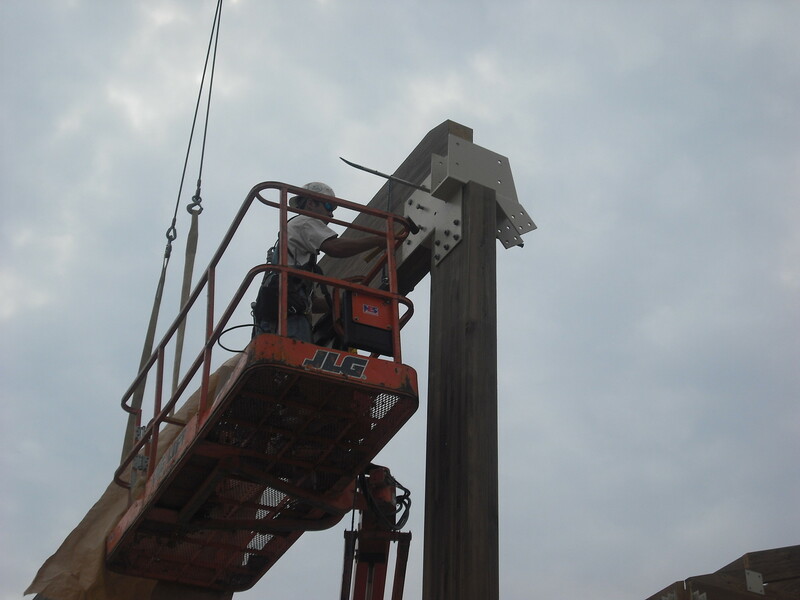 All component members of this structure must stay clean and within close tolerances, as they remain visible forever. 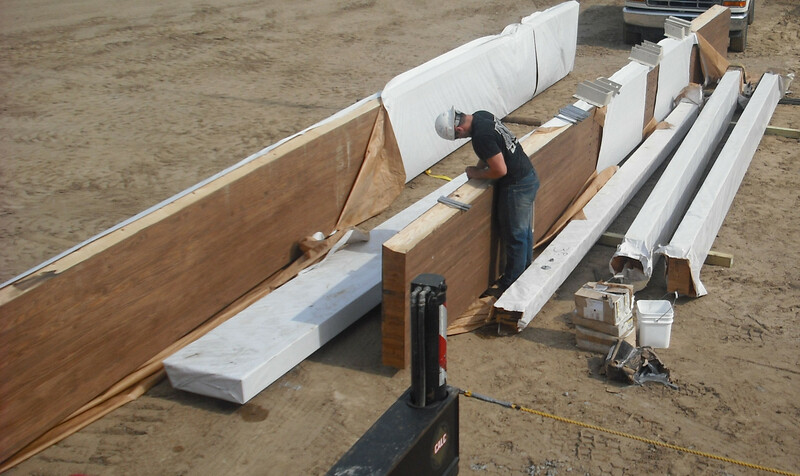 Our current team of installers have been handling laminated timber and structural wood piece by piece, on a daily basis, for 14 years. 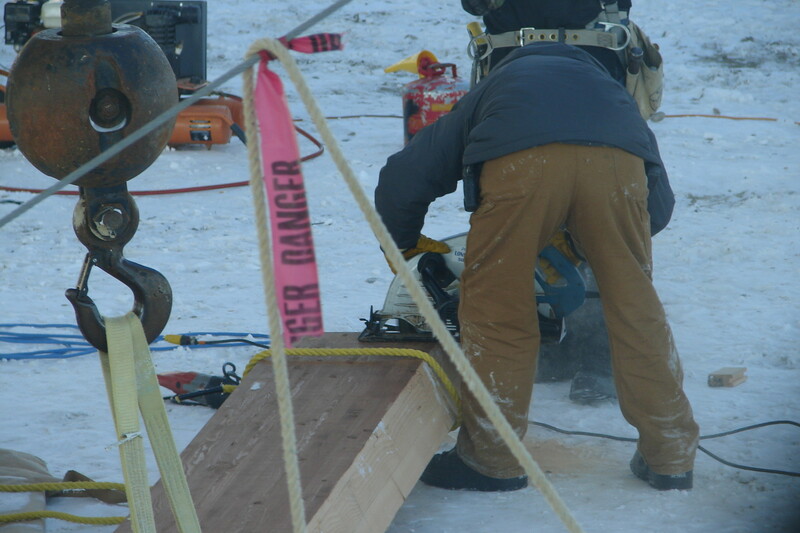 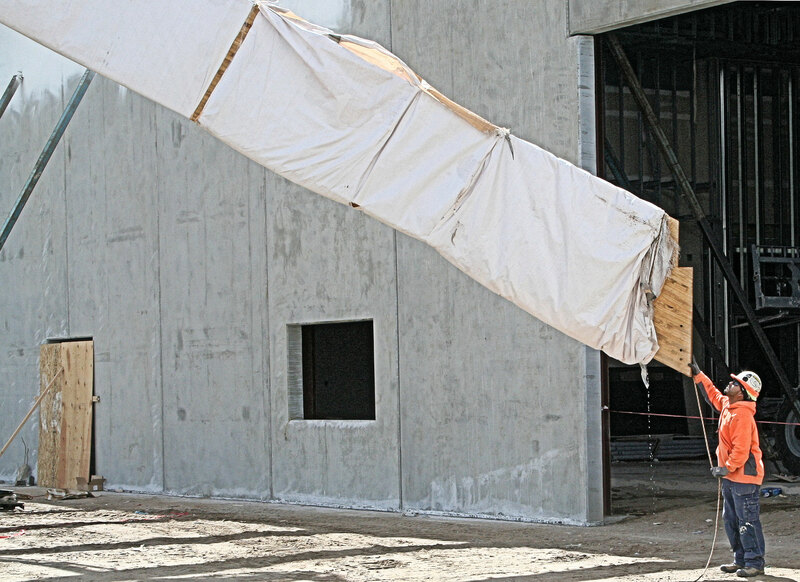 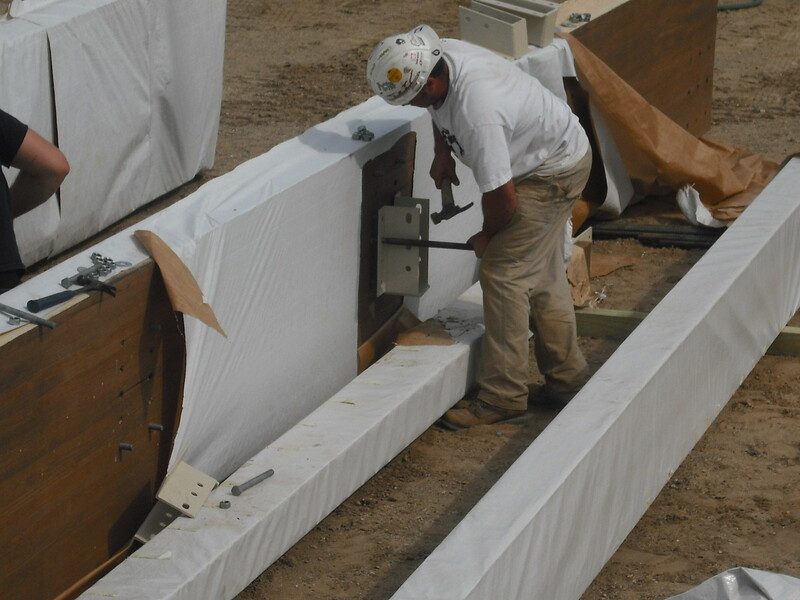 Their attention to detail is prevalent throughout the entire process, from unloading and preparing, to hoisting, and eventually connecting. 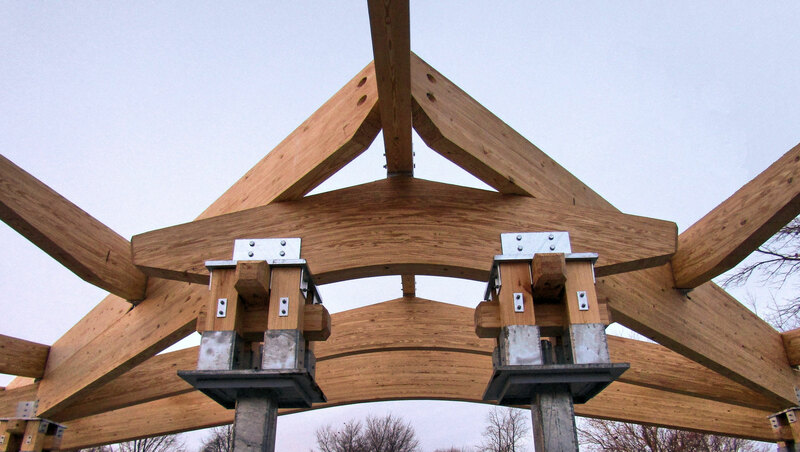 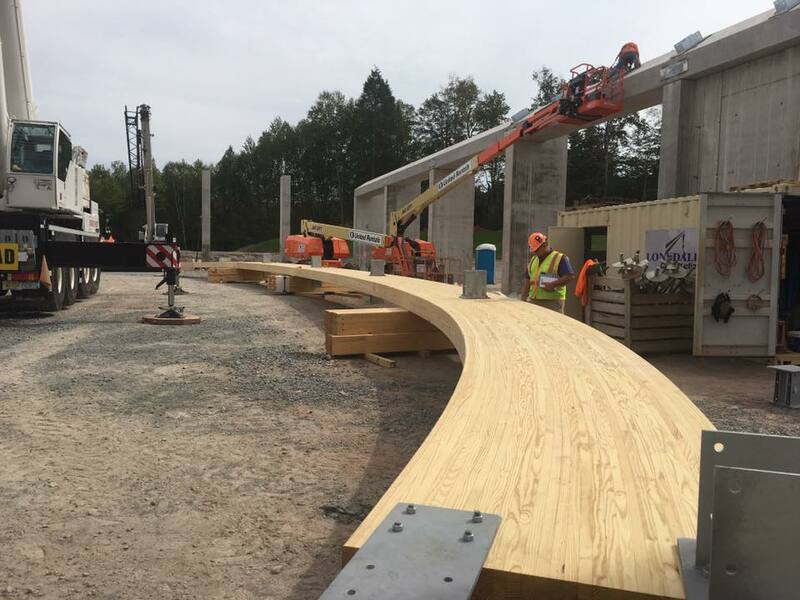 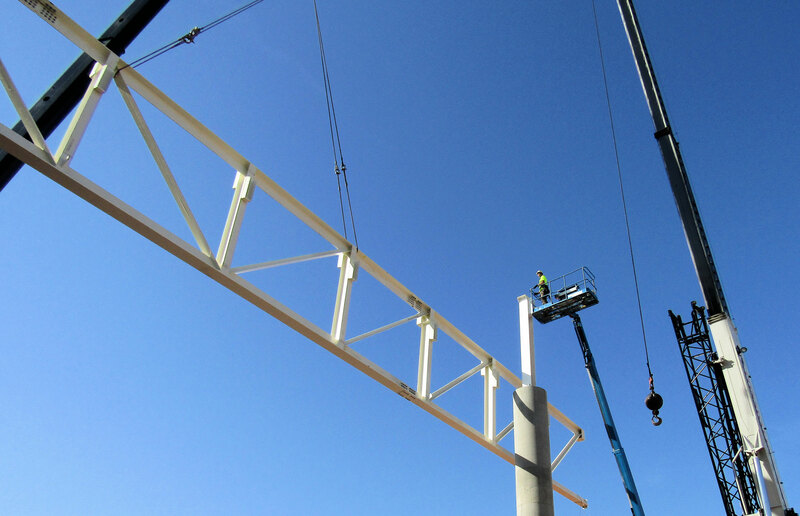 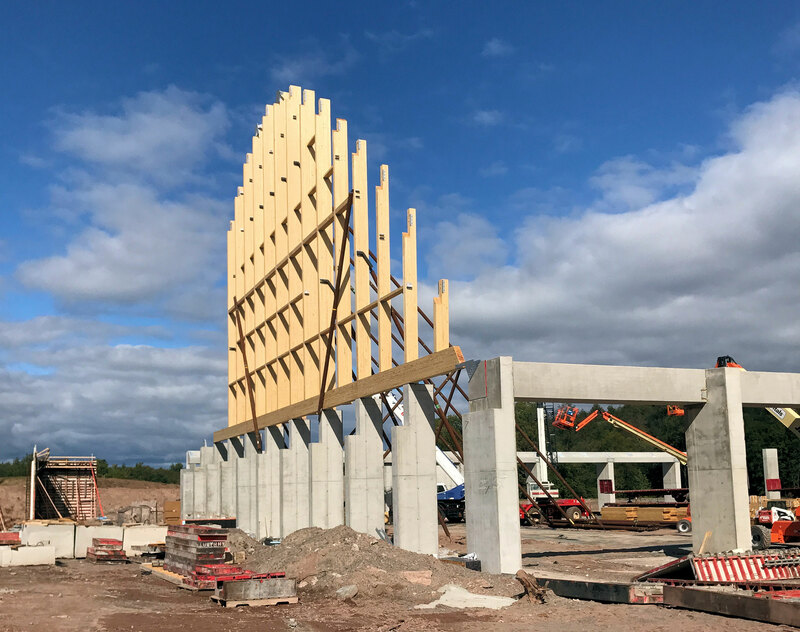 We have the capability to both supply and install the most intricate of design specifications, including long-span arches, trusses, cross laminated timber, and decking. 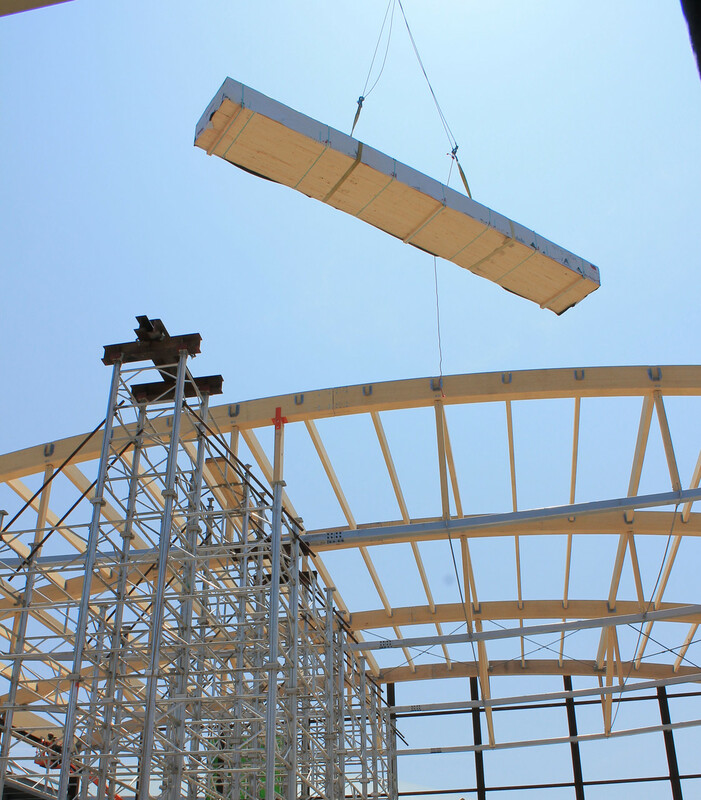 If a specific supplier is contracted, we can provide quality assured installation of the material only while coordinating with the supplier's engineer and manufacturing team. 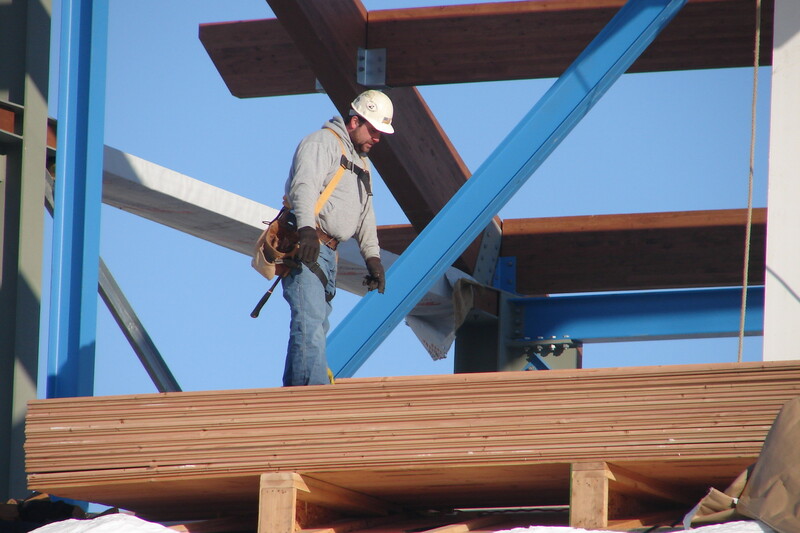 Where structural wood design influence is required, we have the resources to become involved in a project early on. 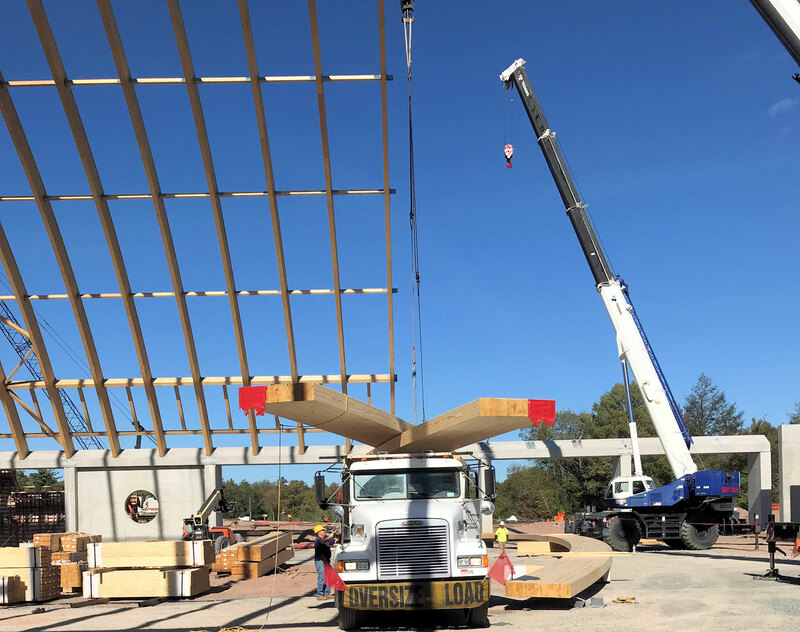 Having worked with a variety of accompanying materials, including ETFE, aluminum, tilt up panels, and precast, we can accommodate any selection. 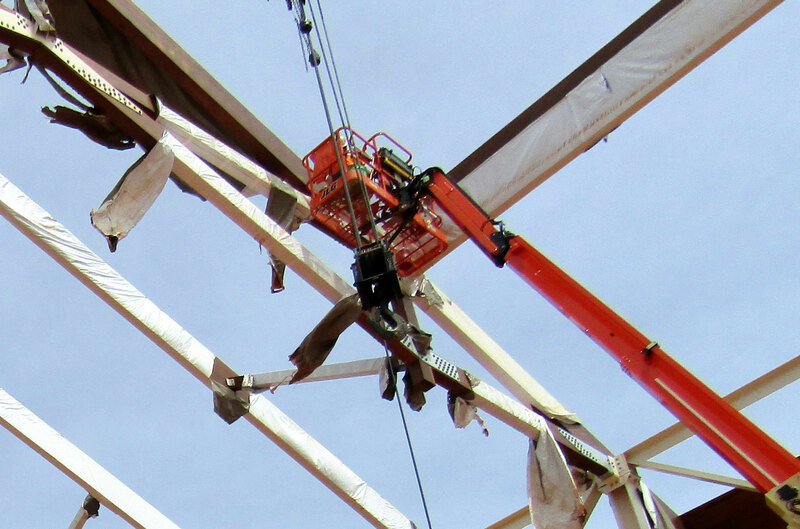 "All component members of this structure must stay clean and within close tolerances, as they remain visible forever." 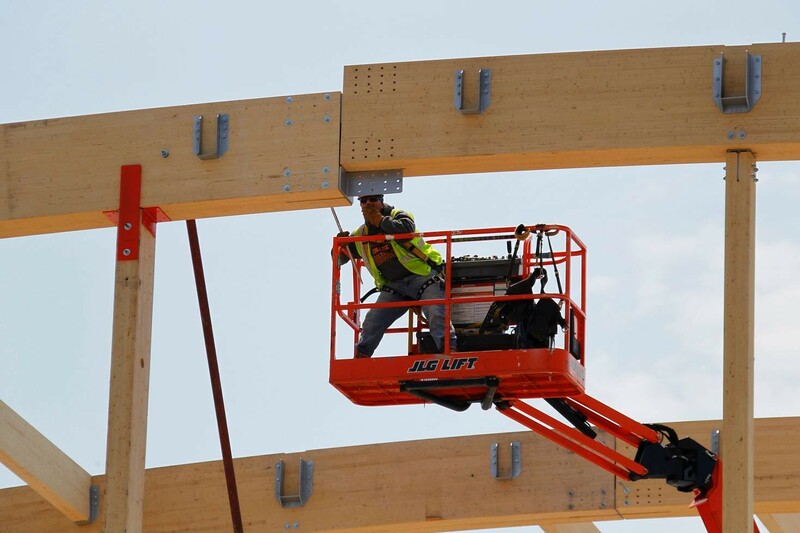 Architects today are pushing the envelope in the use of wood as a comprising, primary material in cutting edge structures. 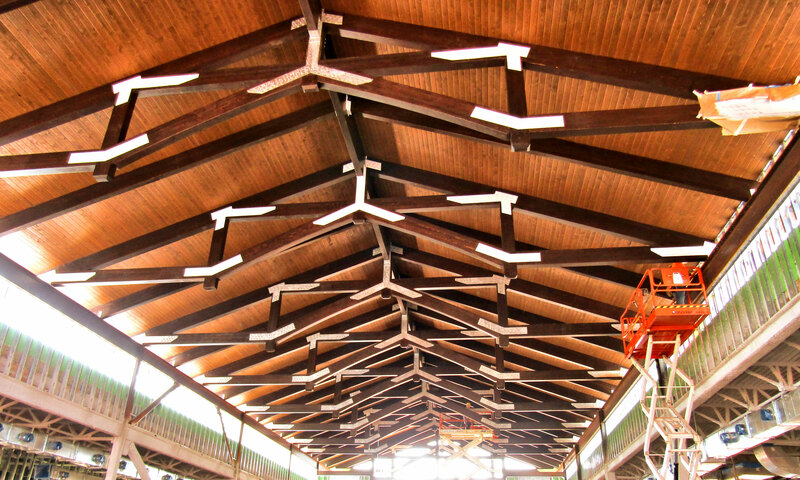 This is easily understood to us, because in regards to structural wood's physical characteristics, the beauty and integrity run parallel.